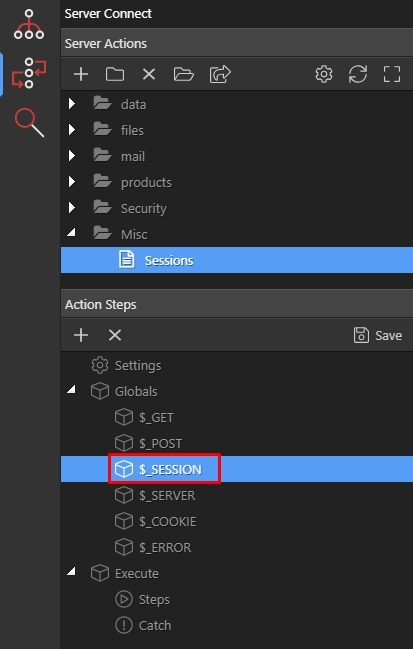 In Server Connect you can define, use and re-use Session Variables. 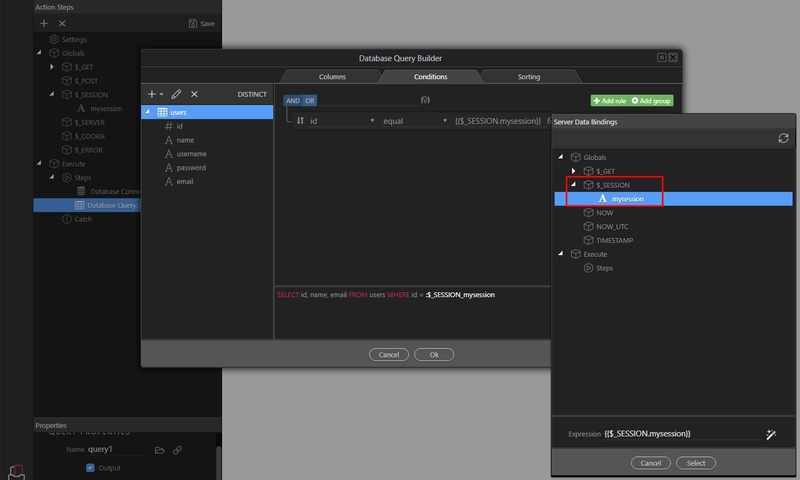 Once you define your session variables, they become available to choose in the dynamic data picker. This can also be an existing session, created in some other script which you want to use in your server actions.